Its been a while since I last wrote. So here I am. I simple love Shrimps or Prawns as I like to call them. 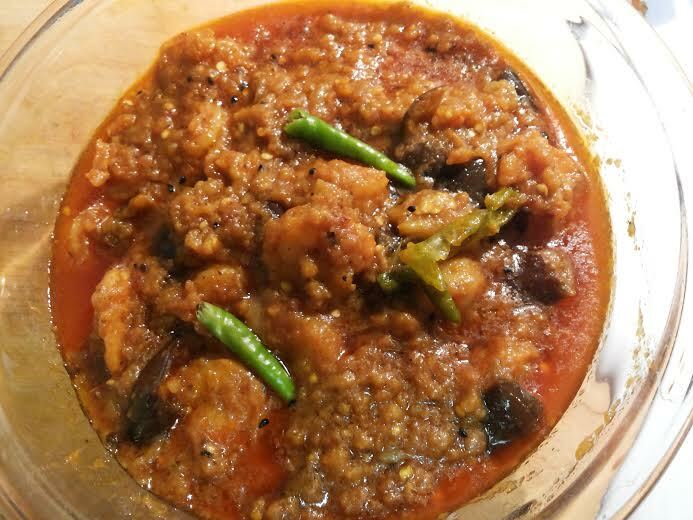 Ma makes this dish with begun ( eggplant), prawns and pyaj koli ( scallions) . It was one the finest thing she ever cooked.. 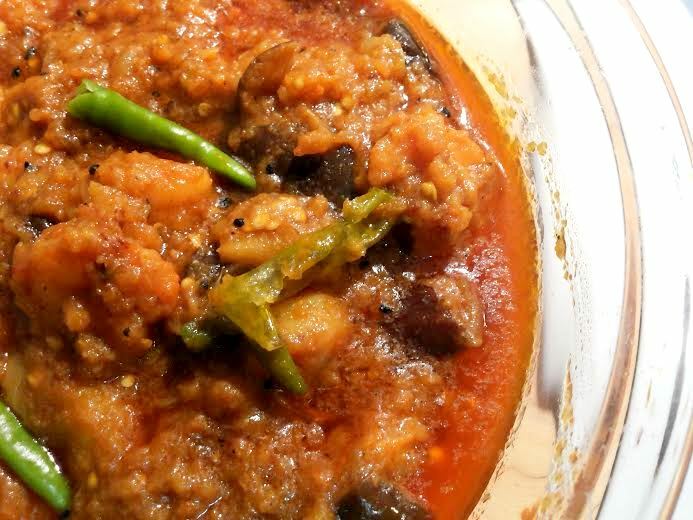 While I love her cooking, sometime back I came across a variation of this recipe and It was lovely. What I love about this variation is the Prawn paste and how beautifully it blends with Eggplant, something I have never had before. The dish is so good and so pretty to look at I decided to name it, “Begun shundori” or pretty eggplant. I told ma about the name and she had a fit of laughter. 1 tsp. nigella seeds or you could use cumin seeds..
Mustard oil- you will have to be generous eggplants tend to use oil. Toss the the prawns with turmeric powder, salt and marinade for 15 mins. Next heat oil in a pan and fry prawns till they turn golden. Do not over fry the prawns or they turn rubbery. Next . Take about half of the fried prawns and make a coarse paste of it. In a separate wok temper the same oil with kalonji Add sliced onions and green chilies to it and saute heat till they turn light brown. Next add the ginger paste, continue to cook for a couple of minutes followed by the spices. Next throw in the eggplant cubes into the pan and mix well with spices. Sprinkle salt and sugar to your taste . Cook them covered till the eggplants become soft but not mushy and then add fried prawns along with the prawn paste and stir well. Wait till the oil starts oozing out from the sides. Remove from heat and finish it off with freshly chopped coriander leaves. I like mine with a bit of gravy so a dded a bit of water while the eggplant was cooking.